As children, we have read about black magic and have been afraid of tantrics, or the practitioners of this art. The term itself puts one on the backfoot, pointing at some evil purpose. This book takes off from this backdrop; and weaves a story around the good and evil; vampires and guardians. 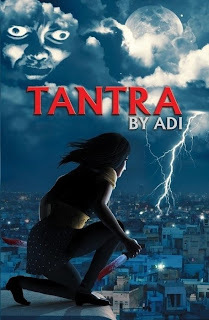 The story revolves around Anu Aggarwal, a person who is entrusted with the responsibility of fighting vampires in New York and preventing them from bringing any harm to the innocent citizens. She is trained for this - physical fitness, fighting techniques and in handling deadly weapons that are tucked up in her armour. And they have an organized affair – there are control centres, online repository of cases and also profile of all volunteers (or employees) across the globe. She had been distanced from her family and friends, mostly due to this “weird” nature of her occupation – except her boyfriend, Brian. She had made the mistake of involving Brian too much in her life, although he was no guardian or vampire – and this led him to lose his life in a brutal murder during a fight between the two sides. Some clues such as CCTV footages pointed to New Delhi – Anu gets herself a transfer to the Indian capital to seek revenge. What happens then? Anu puts up with her aunt, Nina Chopra, who has been portrayed like a normal human being who cares for her niece. She is concerned for her marriage and tries to convince Anu to agree for an arrianged marriage set up and meet prospective grooms. But Anu has no time to focus on such activities! She gets involved in a racket of murdering children and innocent people – and she must stop the person behind all of it : Baba Senaka. He is a practitioner of religious activities, but he has chosen the cruel path to gain power. While he prepares to perform a ceremony to gain ultimate power, he seeks innocent souls of children and does not seem to mind obliterating the entire world at the cost of it, if necessary. Along with Amit Sethi, the guardian posted in New Delhi, Anu embarks on a journey to learn some of the tricks herself with the help of Dr. Sarthak Sharma and Pandit Grover. The story climaxes in an epic battle between Anu and Baba Senaka. The book is structured well and the language is also quite simple, although you may get tangled slightly in parts where too much tantra has been discussed. It is gripping in parts. It also left me with many unanswered questions – what happened to the relationship of between Gaurav and Anu? Who killed Brian? I think the author has left a scope for the sequel to this book, where these queries would be answered. Did this book work for me? Unfortunately it didn’t. It could be because I have very limited interest in religious texts, including tantra (although being a Bramhin by caste – big deal). It is a 50:50 book – you may or may not bond with it. 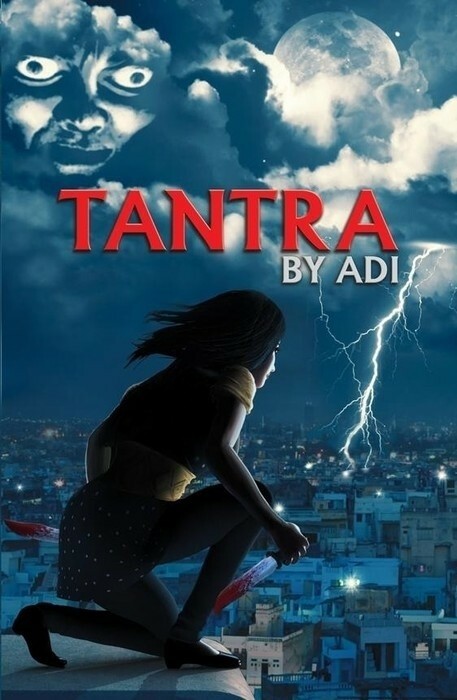 This review is a part of the Book Review Programme at Blogadda. I enjoyed reading the nice and frank reviw ofte book. Even I don't believe in vampires and Tantras. i read about the plot in another blogger's post and found it hilarious!!! That is what they want, isnt it - a frank opinion? All well once you pop in. Hilarious is perhaps the right word! Really? Lets plan it - Tell me when you apply for a book next! Here is a month long celebration of Indian debut writers. Do join in. The rules are simple - Read the 1st book of an Indian writer, review, link to us. We promote, you vote. It will be a fun and exciting month. With some prizes thrown in too. Hope to see you at The Tales Pensieve.